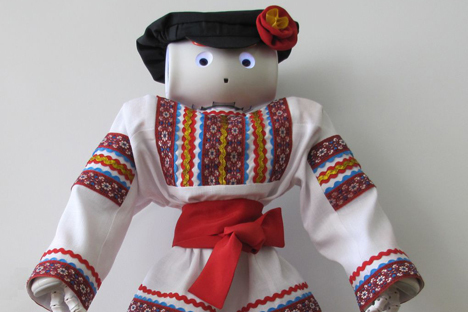 Dmitry Katsai, a research worker at the Instrumentation Engineering Department, and his colleague Yulia Polyakova from the South Ural State University's Institute of International Education in Chelyabinsk have developed software for Nao, a humanoid robot designed by the French company Aldebaran Robotics. The new technology allows the robot, christened Vanya, to serve as an assistant teacher of Russian as a foreign language. RBTH spoke to the "parents" of robot Vanya and found out how it can be used. RBTH: How do students react to the robot? RBTH: What can you do with it? RBTH: Can the robot replace a teacher? RBTH: Can an ordinary teacher work with the robot? DK: We are making an assembly kit that can be easily filled with script content [the robot’s programming will include templates for various types of lessons that can be adapted by the teacher according to need – RBTH]. This will allow a language specialist rather than a programmer to work with the robot. To prepare for the lesson, it is enough for him or her to fill out plain text files containing commands.